Keeping the Pounds Off! : We Won the Contest! 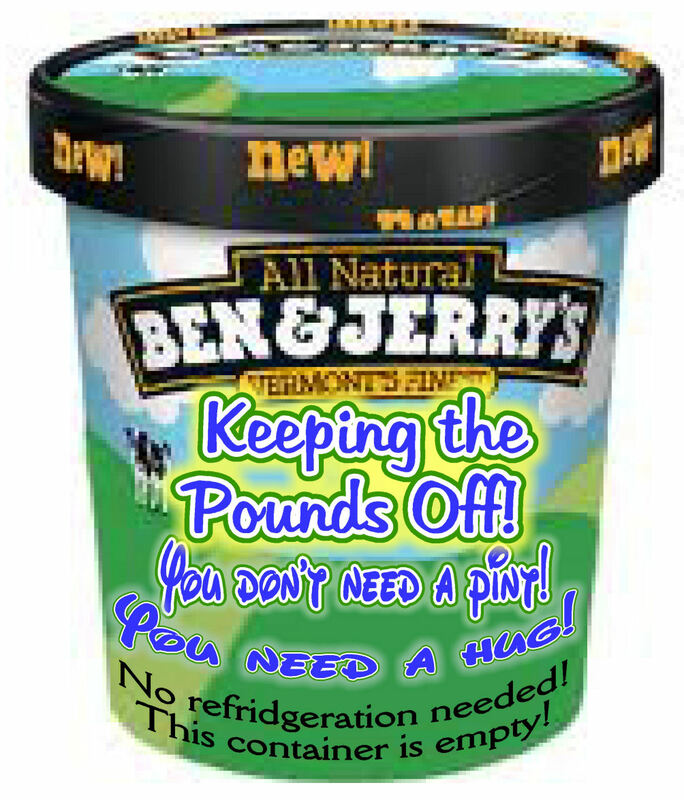 to design and name a Ben/Jerry's Flavor! No need for a spoon! Don't be fooled by food today. Make it a happy Healthy and Hilarious April Fool's Day! Be funny, but be kind. It's probably a very good thing I'm not an ice cream freak...so many darn flavors out there. Huge section in the grocery store. I can take or leave it...though my mom had some every night. EVERY night, with milk. And my hubby has some nearly every day, with fruit or cocoa powder. You're right. Food can fool us. HaHa! Good one for today you clever thing. Boy, I thought that seemed suspicious! Does it come in gallon size? Nice job! Diving into a hug today! 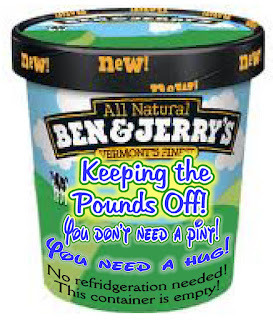 Good lord I coulda used this type of pint when I was chowing down and regaining the 100 pounds that I just lost. I'd say that at least 50 of those pounds is ice cream. It wasn't cheap to regain that fat. This is funny and candid. Nice one!